Covering various fields in political science, this new book presents an historical and political-cultural analysis of Buddhism and Confucianism. 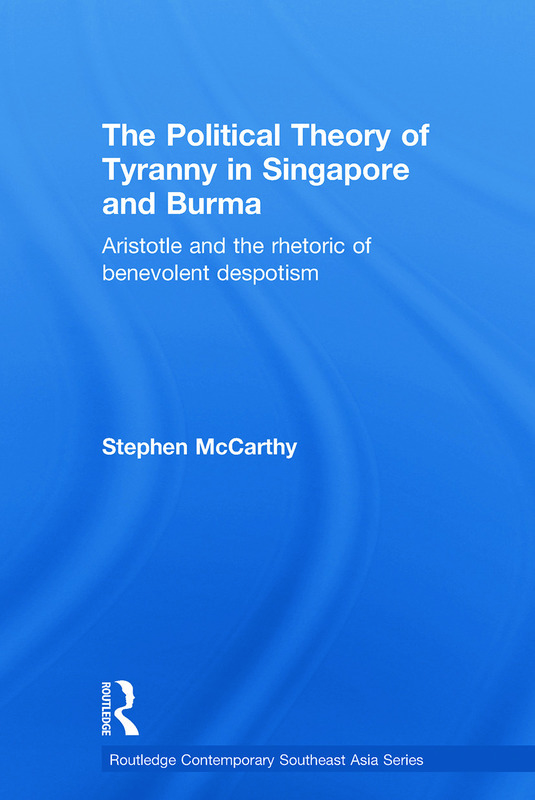 Using Singapore and Burma as case studies, the book questions the basic assumptions of democratization theory, examining the political science of tyranny and exploring the rhetorical manipulation of religion for the purpose of political legitimacy. A welcome addition to the political science and Asian studies literature, McCarthy addresses many of the current issues that underlie the field of democratization in comparative politics and discusses the issue of imposing Western cultural bias in studying non-Western regimes by analyzing rhetorical traits that are universally regular in politics.